This worksheet consist of two exercises, 1) matching the correct adverb in the sentence; and 2) a brief writing exercise using adverbs of time and the exercise also reviews the basic verb tenses. One thing I found difficult is that some learners confuse an adverb with a noun. Ex. Today is warm (today = noun). I am going outside today (today = adverb). It's good to keep this in mind. The above downloadable worksheet is meant for adults at Elementary (A1) and Pre-intermediate (A2) level. 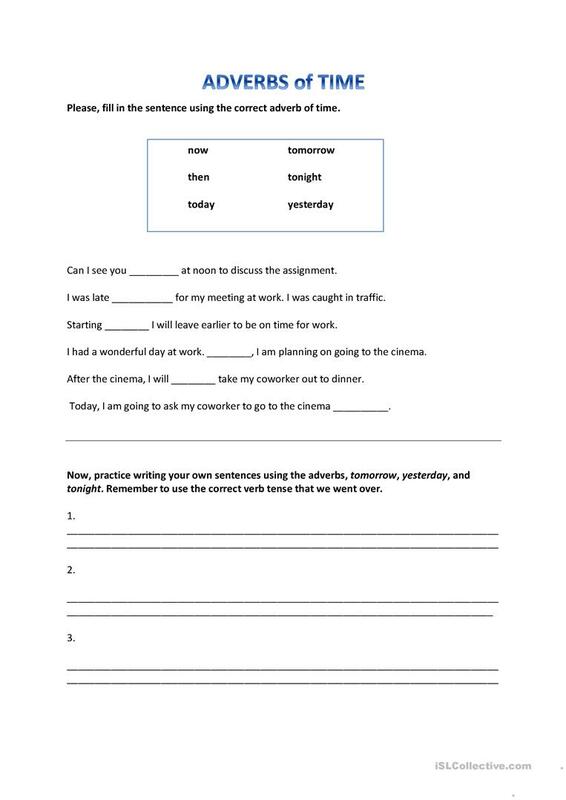 It is aimed at revising Adverbs in English, and is excellent for improving your students' Speaking, Reading and Writing skills.